Cozy Hideaway near Ludlow/Okemo. HOT TUB!! Property 6: Cozy Hideaway near Ludlow/Okemo. HOT TUB!! Property 8: The Cabin At Killington: Left Unit - Close To Everything! Great Ski Home For 12. Property 12: Cozy Family-friendly Log Cabin With 25ft Interior Fireplace + Modern Amenities. Ideal lakefront summer home with 75 ft of shallow sandy swimming. Property 13: Ideal lakefront summer home with 75 ft of shallow sandy swimming. 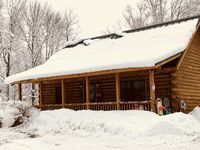 Ski, Snowmobile, Cross Country Ski or Snowshoe -Quiet cozy cabin has it all! 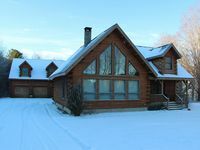 Property 15: Ski, Snowmobile, Cross Country Ski or Snowshoe -Quiet cozy cabin has it all! Unique Lodging Option for the Discerning Traveler in Beautiful Brandon, VT.
Property 17: Unique Lodging Option for the Discerning Traveler in Beautiful Brandon, VT. Very Private Lake house on the West Shore of Lake Bomoseen, Quiet, secluded. Property 18: Very Private Lake house on the West Shore of Lake Bomoseen, Quiet, secluded. Quaint 2 Bedroom Cottage, Pet Friendly. Property 28: Quaint 2 Bedroom Cottage, Pet Friendly. Property 31: Quaint 2 Bedroom Cottage, Pet Friendly. Property 32: Quaint 2 Bedroom Cottage, Pet Friendly. A true Vermont getaway amidst the green mountain national forest. Property 42: A true Vermont getaway amidst the green mountain national forest. 20 sugarhouse lane, Private Vermont escape!! Property 43: 20 sugarhouse lane, Private Vermont escape!! Property 45: All Season Three Level Log Vacation Home On 21 Acres Between Okemo & Killington! Property 47: Cozy, private cabin near skiing with foosball and pool table! Enjoy a charming 1939 Log Cabin on gorgeous Lake George . Property 50: Enjoy a charming 1939 Log Cabin on gorgeous Lake George . The cabin was very charming, homey and clean. The location was great! We really enjoyed our stay. The owner, Janice, was very nice and responding quicky with any questions we had. The cabin was cozy and very clean. Janice emailed us a list of restaurants and things to do and even though we&rsquo;ve been to Okemo many times we found a new restaurant to try because of her recommendation and we loved it. There were plenty of games for our daughter and nephew. I would highly recommend this cabin and would stay there again. Very quick drive to Jackson Gore and the Okemo Clock Tower. Having used VRBO before I have to say that Janice was by far the best owner we have dealt with in regards to communication and response time with any questions we had!